Speech, language, literacy or feeding concerns? Is your child difficult to understand because of speech errors or stuttering? Let's Talk, Let's Eat experienced therapists can help you understand what to expect for your child's stage of development, and how you can assist your child's communication at home. We offer assessment and therapy services to home, School or daycare facility. You may also visit us at our Ormiston or Carseldine Clinics. Is your child able to express themselves and understand the language around them? Or is your child having difficulty with reading and writing. A qualified speech pathologist can help you understand your child's language and literacy strengths or challenges, and target therapy to where it is needed. We also do pre-Prep year entry assessments to help you determine your child's readiness for the school environment. Does your baby or child have eating or drinking difficulties? Renee can visit you at home or at our clinic to determine if your child is at risk of aspiration, or needs a modified eating plan. Renee can also help to ensure fussy eaters do not become more rigid and get you on track to improve family mealtimes. 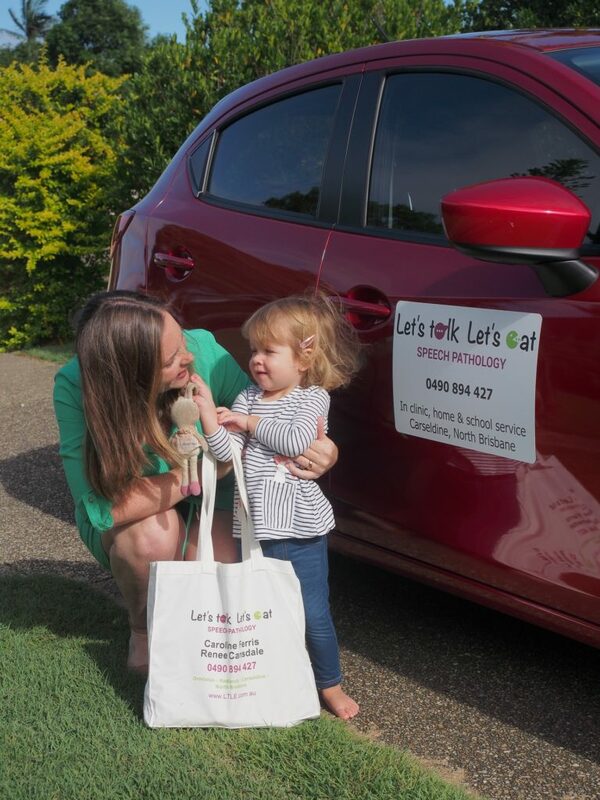 Let’s Talk, Let’s Eat Speech Pathology is a small family focused speech pathology team servicing Ormiston, Redlands, and the northern suburbs of Brisbane. Renee Cansdale is the Owner of Let’s Talk, Let’s Eat (LTLE). Renee is an experienced speech pathologist with a special interest in paediatric feeding, early speech and language, and early literacy. Renee attends the Carseldine Clinic on a Tuesday & Saturday, and runs a mobile services in north Brisbane and Redlands Tuesdays & Thursdays. Caroline Ferris is the senior Speech Pathologist at LTLE. Caroline is an experienced speech pathologist with a special interest in language delay and disorders in school-aged children. Caroline attends the Ormiston Clinic on a Wednesday, and runs a mobile service in the Redlands area on a Tuesday & Thursday. Let’s Talk, Let’s Eat Speech Pathology's mission is to provide the highest quality, family focused speech pathology services in Brisbane. We value little people and their families, and take pride in assisting you on your journey to improve all aspects of communication and eating. Please contact Renee at Let's Talk, Let's Eat Speech Pathology for more information or to book an appointment with us.